Typical transit time for cross country moves is 7-12 days, and even less time for shorter moves. It usually takes most companies up to 30 days, however we guarantee delivery within 16 days from the date of loading, or we provide rental reimbursement at $35 per day until the vehicle delivers. Can I put items in the vehicle? As a courtesy we allow up to 50 lbs of any last minute items. Do you offer enclosed service as well? Yes, we specialize in both open and enclosed transport service. What do I have to do to prepare the car? Absolutely nothing. We will handle all the details for you. What if my car does not run? No problem. We can still transport it for you. There will be an additional fee for non-operative cars. Are you door to door? Yes. Our license number is 325231 We are also bonded and insured. Be very careful as many companies operate illegally without a bond, insurance or a motor carrier number. Who is the primary insurer? Insurance is covered by us and we insure your vehicle up to $100,000. No other company will offer this. No, we waive all deductibles. Again, we are the only company that does this. No deposit is required and payment is very convenient. You can pay cash or cashier’s check on delivery, or with a personal check or credit card up front. If the credit card option is selected, the card is charged while your vehicle is in transport. How can I find out where my vehicle is? We have a full time staff Monday to Friday from 8:00 am to 5:00 pm Pacific standard time to give you up to the minute details on your vehicle. You will always get a live voice and never voice mail during our office hours. If you need status or have a question afterhours, please leave a voicemail to any of our professional team and we guarantee to call you the following morning by 9:00 am. Why should I hire All American Transport over similar companies? 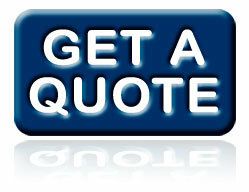 We have been in business since 1994 and we ship for several major moving companies. We also do work for the FBI, The Gap, Disney, Intel and many professional sports teams including the San Francisco Giants, The San Francisco 49ers and the Golden State Warriors.